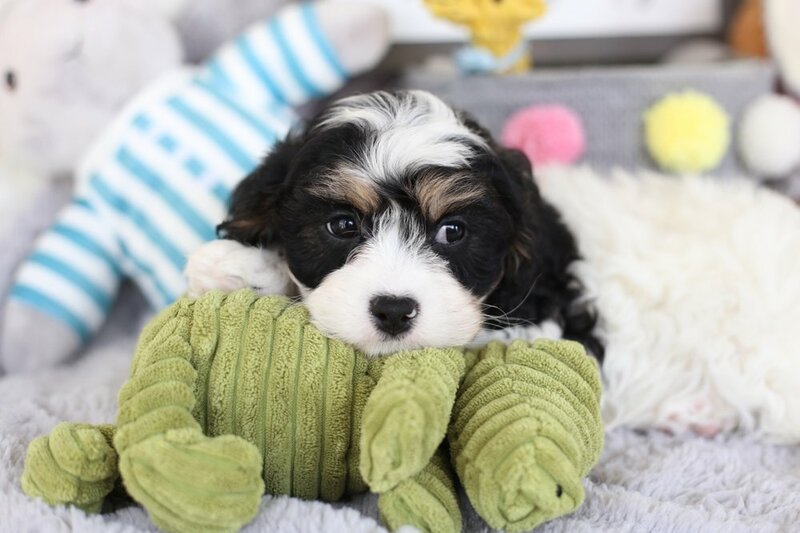 Tri-Color Cavachon Girl Puppy OH WHAT A GORGEOUS BABY!!! Gosh I'm hard to impress, I try to have the most gorgeous puppies on the planet on a regular basis, but this litter has even me swooning with puppy delight. Sarah Jane is the perfect puppy confection of color and personality. She is stunning and without a doubt one of the prettiest puppies I've raised. 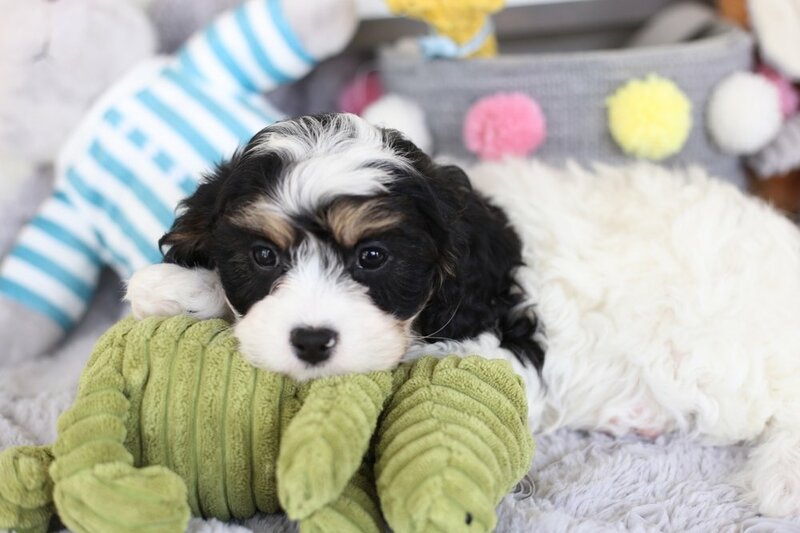 Just as adorable inside as she is out, with a sparkling sweetness that keeps her tail wagging happily and her little paws patting in puppy welcome, she is a DOLLBABY!! !